Here is an at home workout safe for second trimester. Complete 10 half bicycles on your forearms (per side); ten toe taps in a squat position (per foot); 10 push press squats per side; 10 body weight squats; 10 push ups; 10 lunges per leg; 10 straight leg lifts from all fours. Repeat for times. ​Afterward do a 30-40 minute prenatal yoga flow. Here is a great shoulder super set workout. The entire workout is not discussed, nor shown. I only discuss the first three super sets. Be sure to listen to the whole thing so we can see how I do these movements in the gym. When it comes to lower body work, it isn’t always about going heavy for me. Activation and the mind-muscle connection is where it’s at for me. There is so much ego involved when we only think about going heavy. Yet, if we aren’t engaging the muscles we are trying to enhance then what’s the point of going heavy? What I see way too often in the gym are people (mainly men) going way too heavy and compromising form. What they are actually doing is pulling strength from other muscle groups opposed to what they are actually trying to work. That’s counterintuitive and counterproductive. My suggestion: focus on posture, breath, form, and the mind-muscle connection. Build your strength properly and not haphazardly. Is there something in your life that you are trying to create? Do you have a goal that you are trying to reach? If so, do you have a plan on how you're going to make that goal a reality? If you are struggling with how to manifest your victories then check out this video. In this video, I discuss intention collages, and how the creation of these collages helps to create the life you want to live. Intention collages help us to get the creative juices flowing, which activates engagement and excitement for the brain (click the link to read more about this topic). Once the collage is finished you can hang it, frame it, or pin it up someplace that you will see often. When you see your collage on a daily basis you will be reminded to keep pushing in the direction of your dreams. 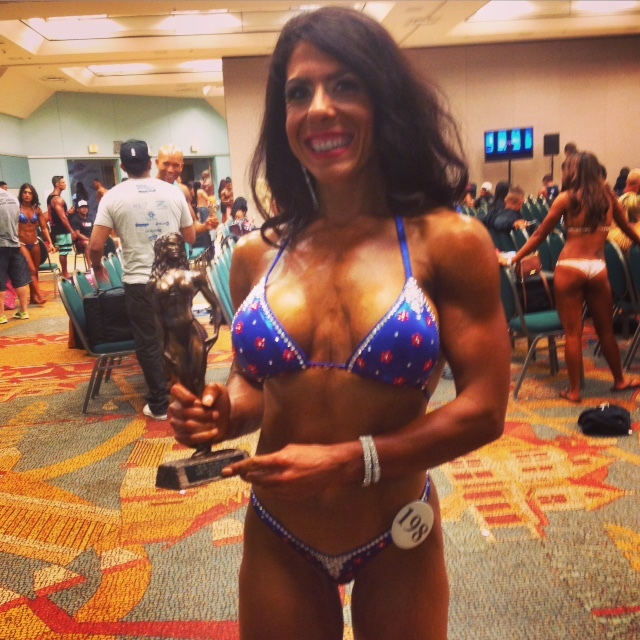 For me, one of my big dreams for the 2015 year has been to place in the top three in figure competitions. In the video, I discuss how figure competing is a passion for me and how I want to win trophies when I compete, so that I can move toward competing at higher levels. I discuss how it is important to have specific goals when creating a collage, so that you can really narrow down your focus. When our focus is specific that is when we are most likely to obtain a goal. I hope that this video inspires you to reach toward a lofty aspiration and be victorious. If you want any help, or need more specific information on how to channel your dreams, please contact me. Here is an example of an intention collage. This is my personal collage for the 2015 year. What will yours look like? This is me on June 27, 2015, after placing third and qualifying for Nationals at the San Jose Championships. My trophy looks like the trophy on my collage. See, you can manifest your victories!! 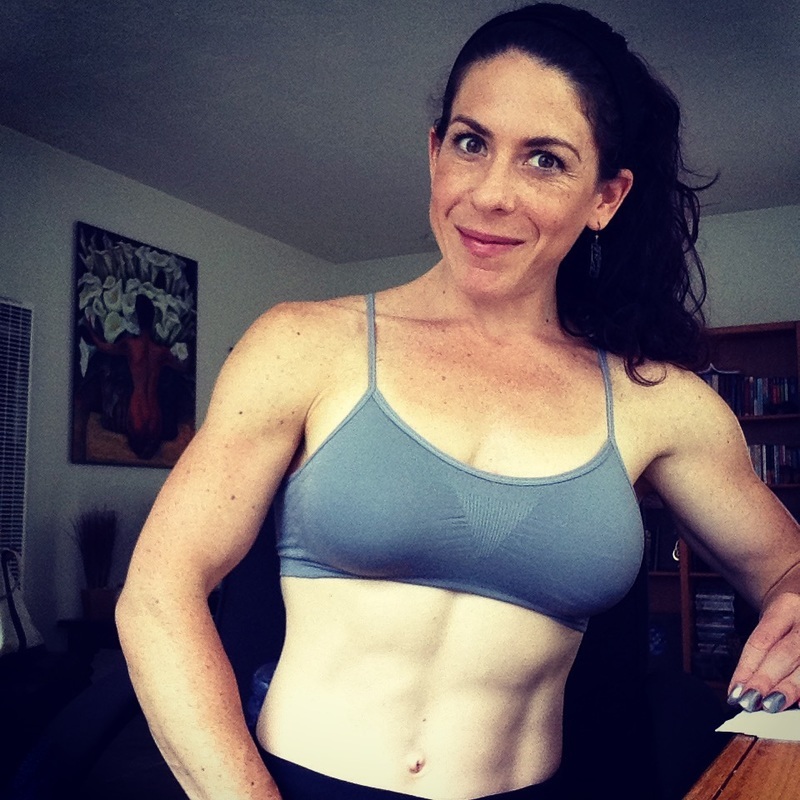 In this video link, I discuss socializing with intention, so that you can reach your fitness goals. It's important to feel empowered by our choices, rather than feel guilty. There's no need to become a hermit just because you choose to have health goals. I know how hard it is to stick to a training routine or nutritional plan when there's socializing going on. While training for a competition or preparing for an event, like a photo shoot, you have to be disciplined and not everyone understands what it takes. And guess what, that's okay. Only you have to understand your path. Yet, having a path doesn't mean you have to walk alone. Life is meant to be enjoyed, so enjoy it! This time of year, however, can be particularly hard with the release of school and graduations, because there are tons of parties happening. And we all know that parties means lots of food and alcohol. Click here to hear about ways you can have fun while living the fit life. All it takes is a little bit of planning. 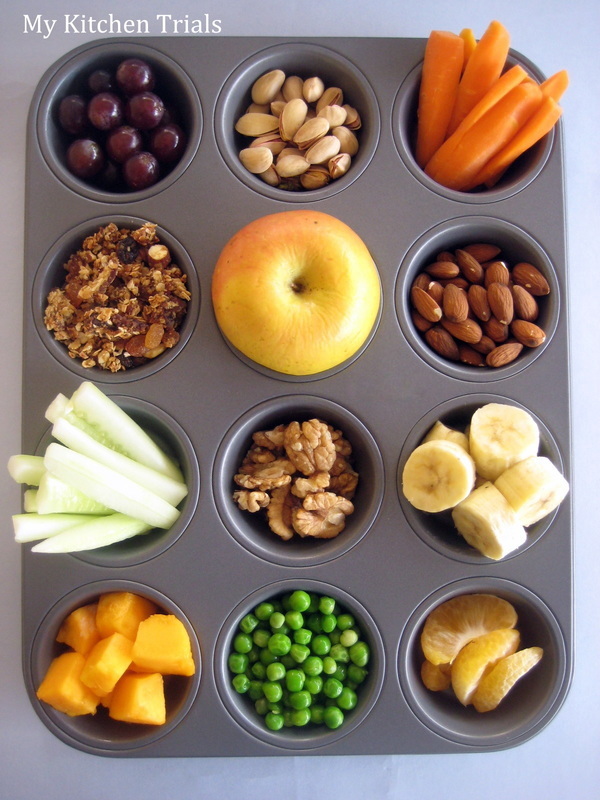 The pictures are meant to give you ideas on ways you can prep healthy snacks and non-alcoholic or sugary drinks. If going to a social setting, and the thought of saying "no" or giving in to all the goodies overwhelms you, then pack your own meal options. Feel empowered about doing this, too. You can also bring your own flavored waters, by using lemons, rose water, or essential oils to add variety. There are also herbal teas or black coffee drinks. Also, adding cinnamon to teas or coffee helps your blood sugar and adds a bit of sweetness. There are also the stevia sodas or Hansen's diet sodas that are calorie free and preservative free. You too can have fun, eat well, and reach your goals during graduation-time. 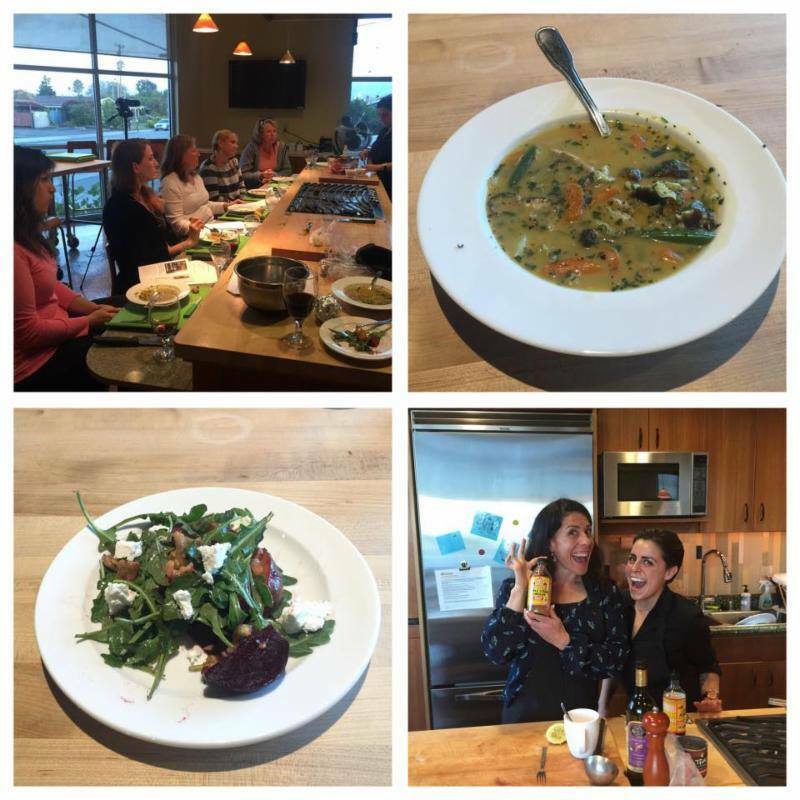 Eating Clean With Promo Benefit! READ and WATCH!! I HAVE A PROMO attached!!! My intention for the world and myself: to bring forward better health and happiness is really starting to take off! Tonight, after my gym workout, I went to Safeway to stock up on meats and veggies. I didn't want too much time to pass from my workout to meal...so I made a salad right in the store eating area with weighed out chicken breast from the store's deli and other low sodium, sugar-free condiments (basically calorie free too). Homemade on the go! Being busy does not mean you have to eat junk. You can eat clean and be fit. Anyhow, I ran into a FARM FRESH TO YOU (click to see site) employee. I signed up for my summer CSA box in the parking lot with their great new deals and choices. I had been a customer of theirs in the past and I enjoyed, but now I'm going to enjoy it more because FFTY is going to offer more buying choices and selection choices for their boxes. In case you don't know, a CSA box is when a local farm offers home delivery of their freshest seasonal produce. 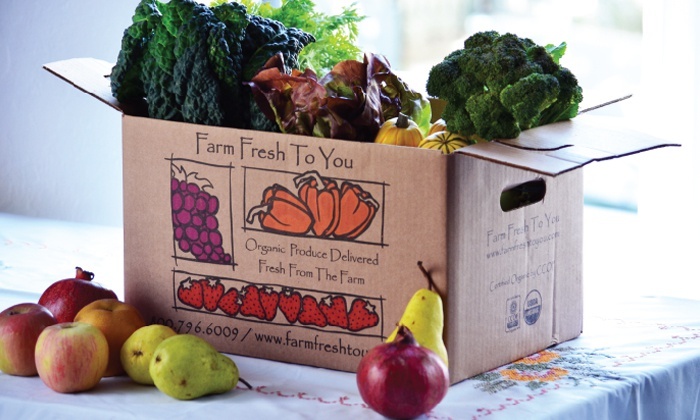 A farm company, such as Farm Fresh to You, is a local, organic farm. I will be getting all the latest seasonal produce all summer log at a great price. CSA boxes reduce carbon foot print, reduce cost from your bank account, increase nutrients in your food, and take some stress away by you not having to make trips to the store. CSA boxes also get you to be more creative in the kitchen since you might get produce you wouldn't normally purchase. Tonight, there was such much gratitude going around after I signed up to start receiving my boxes this summer, that the employee, Francisco, video taped me and gave me a promo code for all of you to use!!! Yes to the FIT LIFE! If you use this code you get $10 off your box and you also help out Mind Soul Bodybuilding and me. Use this code: BREN6171. Thanks so much. Be well, eat well, mas love! Click here to watch the video that Farm Fresh to You and I made. Check out this energetic video(click to view) about shopping for seasonal produce with intention. What does that mean, shopping with intention? It means several things: thinking about what you are buying and why, where your food is coming from, and staying within your means. 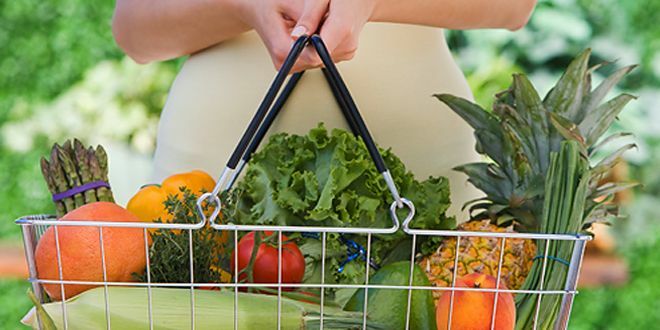 After watching this video, I hope you get excited to shop with the intention to buy seasonal produce(click to watch video). I also challenge you to not just buy seasonal produce, but more specifically to buy local, seasonal produce. When we buy local produce we are supporting our farmers and pickers, local economy, reducing our carbon footprint, and guaranteeing freshness and nutrient density of the food we consume. 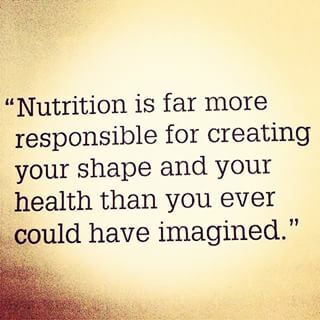 I also want my clients, readers, and viewers to come to understand that it's our nutrition that creates the most change in our lives. The quote below says that point strongly. When we become responsible for our food, and have meaning attached to why we are eating and when we are eating, that's when we start to see real change in our mind, soul and body. Check out my blog link to read more about intentional eating. Otherwise, enjoy the spring produce and be well! It's spring which means there are lots of fruits and veggies becoming more available to us. In this video, I am talking to you about three things to think about when getting spring produce. Those things include: nutrient density, organic vs. conventional, and cost. In this video, I do not name all the produce available this time of year, but I do discuss the produce which covers my objective. I hope that my video helps you make wiser decisions the next time you go into the store, loading up on fruits and veggies. Be well! I know that I am not alone when it comes to sweet tooth cravings. I would have to say that sweets are my naughty zone. I have tons of pins on Pinterest to prove it, too. Yet, I keep my indulgence of sweets to just pictures. So what do I do to keep my sweet tooth at bay? Well, one of my favorite tricks are cucumbers with chili, lemon (or lime) and a touch of stevia. Be careful not to over do your stevia, because like all sweeteners it will leave you wanting more if you over do it. Everything in moderation and you're golden. Check out my video, by clicking here, on how to make this yummy, satisfying vegetable dish to compliment any Mediterranean or Spanish meal.